Ellen Siminoff is the founder and CEO of Shmoop, an expanding collection of lively online learning guides created by experts and educators. Siminoff is the other half of a Silicon Valley power duo. Her husband David, a co-founder of Shmoop, was involved in one of the largest mutual funds in the world, Capital Research—large early investors in Yahoo!, eBay, Amazon, PayPal and America Online. Ellen Siminoff was Senior Vice President of Yahoo in the heady dot com years between 1996 and 2002. She is Chairman of Efficient Frontier, where as former CEO she built the company into the largest buyer of search ad keywords on Google and one of Silicon Valley’s most valuable privately-held companies (approximately $275 million). She has a BA in Economics from Princeton and MBA from Stanford (where she met her husband). 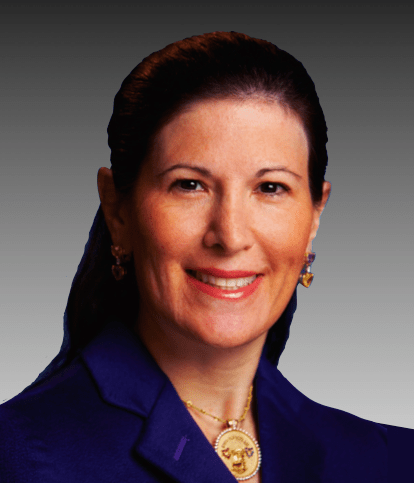 She sits on the board of directors for Mozilla, Efficient Frontier, Journal Communications, 4info, and US Auto Parts. She loves chocolate and the Green Bay Packers, struggles with golf and has actually been—that’s right—shot. Talking with her is an energizing experience; Shmoop is an extension of her passion for all things stimulating, and believe it or not—learning for Siminoff is really all about the romance. Victor: I’ve been having some fun this morning looking at Shmoop. Having been an English major in college, it’s near and dear to my heart. I find it to be an absolutely fascinating resource—very cool—and quite hip! Ellen: Thanks! We created this site out of love for literature and history and poetry, et cetera. We wanted that to be conveyed on every page. As we started looking at and exploring it all—the different opportunities on the web for learning—we became very annoyed with a lot of the content that was out there. It was not written in a way that inspired people, that got people excited. It was more about how to get out of work or how to just get through it. But we bring with it such a passion. This all started because my husband and daughter were reading Call of the Wild and my husband started looking at what was on the web for Call of the Wild. We think it’s a great story, but found that there was just too much that was not written in a way that got everyone excited. So much of literature—you studied this so you know—is subject to interpretation. We didn’t want to have one theme. So much of the time, it’s: ‘What’s the theme of Macbeth?’ Well, yes, ambition is a theme—but there can be lots of different themes about a piece of work. There can be lots of different angles at which you can look at it. So, I join you in just being excited about all this. Victor: Alright. That answers it. We’ll certainly digress, but you got my list of questions? Ellen: I absolutely did. We created Shmoop—I hope I answered that to some extent—out of a love for learning and a desire to build something for the Digital Age. Too much of the stuff on the Internet is of a really old-textbook set. I hate it. I hate this! They remind me of the same things I read when I was in school that haven’t been changed, haven’t been written in a very engaging way—and aren’t built for digital. We wanted to change that. The name “shmoop” is actually a Yiddish term and it means, “move something forward.” The first impression is always in the name. In a lot of ways, a name speaks to what you’re trying to do—which is to move education forward—but it also speaks to a fun, interesting, relevant outlook on life. Victor: Your husband’s, your daughter’s and your own passions prompted you to create this? Ellen: Exactly. We’ve been involved with the Internet since its early days. I was part of the founding executive team at Yahoo. My husband was one of the early investors in a lot of the Internet companies, including AOL. We love the web and we love education and learning. We thought it would be great to combine the two. Victor: Sounds like you may have had many roads to take—why this one? Ellen: We felt that nobody was doing it really well. At the time we started this, a few years ago—in theory, due to the economy—the web was dead. Nobody wanted to create original content. They all wanted to do tools to help people share. We came at it from an angle that people don’t necessarily want to completely share points of view, but they do want to get other people’s points of view. They want a trusted resource that’s going to give them a framework to think about things. The biggest thing was to make it a relatable site, one that would help people love literature and would help them learn it better. We understand that not everybody is an honors A student. If you really want to go deep, we are as deep as you can get into the different themes and quotes. Then, for people who just want a leg up, we’ve tried to make them more passionate about this subject matter. Every single part of our site we talk about why you should care. Why is Lord of the Flies relevant to you today? Why do you study Reconstruction? Why does it matter? The biggest benefit is that it’s relatable. We built it for the digital world. Victor: TV, video games, even the Internet—may be hazardous to one’s academic health. I half expected to see something much more superficial, representing a “dumbing down” of learning. Upon my review of your site, Shmoop is much deeper, yet still contains humor and irony. It doesn’t aspire to sound professional or formal—but that’s the point: it works to attract people in a very real way. It’s well thought out, presenting the old stuff newly, for a new generation—yet still manages to lure in anyone else who might be even vaguely interested in literature with an addicting, refreshing writing style. There’s passion in them words! It’s all very current—and the whole Shmoop experience is actually quite rejuvenating. Ellen: Exactly! Thank you for getting it. And that was exactly our view. You don’t have to be boring to study. You can be relatable. It can be interesting. But don’t mistake the conversational, ironic tone for an in-depth look. Print out one of our lit guides or some of the others—they’re hundreds of pages. I guarantee you, if you wanted to take on Ulysses, what we have is about as deep as you can go—but that doesn’t mean that it can’t be written in a way that’s engaging. Our hope is that this inspires people to get excited about something they might not have been excited about. Victor: You’ve been immersed in this, it’s your baby (or at least one of them), and from your varied experience—you likely have an eagle’s-eye view of all this. Along those lines, not too long ago, Don Tapscott lectured a Dutch group, Vision in Technology. They all discussed a three-media model of revolution. 1. Radio and TV, 50s and 60s. 2. Internet Revolution, 90s and early 2000s (static websites and eventual broadband for all). 3. Here’s where it gets interesting: we are currently in the middle of a third revolution, where the idea of “mass media” flips to become a “media mass”. In our current and third media revolution, the anonymous client gives way to hyperlinked customers, websites cede to social networking, customer database fall to online and real communities, reacting makes room for interacting, return on investment changes to return on involvement, and false professionalism is scorned while humor and irony are welcome. Shmoop’s refreshingly real writing style certainly falls into that third media revolution category—and, I know—that’s quite a long set up! Ellen: Yeah, no, no, no—you’re totally right. You’re talking about being authentic. That’s something we really strive for. I admit that we haven’t been perfect along the way. For example, we had someone at Shmoop write about Huck Finn. 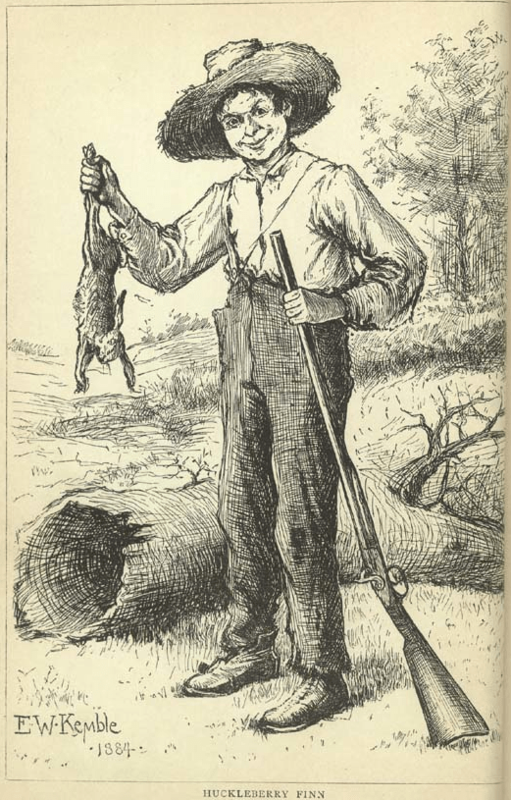 It’s not what’s on the site today, but—someone wrote about Huck Finn. We all loved Huck Finn, it’s a great American novel, but the person who wrote it was not interested in Huck Finn, and that completely came out. We had to rewrite the entire thing. You can be a brilliant analyst and a great writer, but if you’re not passionate about the subject matter, it comes out. It’s not authentic. We’ve tried very hard. Ulysses is arguably a very tough read, but read what we wrote. The person who wrote it was completely authentic in their passion for it. I see sites all the time that are trying to encourage kids to cheat. So many sites sell essays. That’s anathema to us. We want people to love this material. And if they’re not going to be English majors—that’s totally fine, but—we want them to like it a little more than they did the day before. Victor: You mentioned a daughter—at home or in college? Ellen: No, she’s still young, and I have a son, too. We do a lot of reading and learning at home. Victor: Do they provide quality control? “Mom, this isn’t right…” For example, does your daughter influence Shmoop content? Ellen: She does. She’s a pretty good reader. She and my husband read Grapes of Wrath together last summer. Then, they went on Shmoop and criticized it. She’s really the one who inspired us to share. With Harry Potter, too, because she pointed out (and you know, we have Twilight and Harry Potter) that there’s a lot of really good stuff in Harry Potter. In what we would consider more popular literature, you can take the same passion that you have for those books and take them to maybe a more sophisticated read. There’s a lot you can get out of those books. A lot of that was talking to people who are actually reading today. We have much debate about the best sellers. Does Twilight qualify as great literature? Our view is, we agree that it’s probably not up there with Macbeth, but that it deserves to be—you know, people are loving reading Twilight or Harry Potter. Let’s give them a way to analyze it and then they can take those same tools and apply them to other pieces. Also, if you look at those kinds of books, they reference a lot of other literature out there. In Twilight, Bella’s reading Wuthering Heights the whole time. Harry Potter certainly speaks to a lot of the mythology that you see in all of literature. We really wanted to take those same things. We got that from talking to real readers. We don’t want just the family to influence it, but obviously our kids have—though other kids have as well. Victor: You also have poetry, bestsellers, history, civics, biography and even music. Why music? Ellen: We were sitting around and asking, who are the best poets? Edgar Allen Poe, Wordsworth, Emily Dickinson, you know, all the people you and I grew up with. Someone pointed out, “Hey, Bob Dylan’s a poet. His lyrics should be interpreted in the same way that a poem is interpreted.” So, if you actually look at poetry, “Bob Dylan” is listed as a formal poetry area [for example], “All Along the Watchtower.” From that, we got inspired to do music as lyrics. Please note, these are not like fan sites. We don’t care who is dating who, or how hot someone looks in their music video. We look at these people as poets. We interpret their work as poetry. I would argue that “One” by U2 is a fantastic poem. We’ve actually gotten terrific feedback from teachers on this. They start a poetry unit with one of these. It makes some of the other stuff a little more interesting. Teachers are really struggling to come up with things that are relatable. It’s hard today to teach. Students are used to a lot of audio, video and multi-tasking. It’s hard to engage. Just being able to offer something more relatable helps. That’s how music came to poetry. I love what we did with poetry. I really struggled to understand poetry, I’m much better on literature and history, but we’ve gotten really nice feedback on that and we’ve gone really in depth in a lot of poems. Victor: Alright, then. If lyrics can qualify as literature, then how about movies—Avatar, for example? It’s got plotting and themes. Would you ever apply a literary framework to popular films? Ellen: Yeah, people have talked to us about that. I’ve thought of that. I would do math and science first, in fact we’re working on Algebra and biology right now. Those probably deserve to be in there first. If you can make those much more relatable, then that’s great. Avatar may or may not be the perfect example because the plot, you know is a little more simplistic—but there are some terrific movies out there. This is forward thinking, but should we take movies about books and compare? I don’t mean, if you only saw the movie, then what would you see? More frequently there is a whole different interpretation to them. 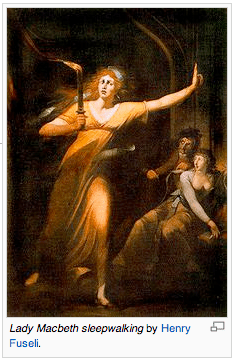 Hamlet has been done a number of times; there’s Pride and Prejudice. How are they different from the books? Ellen: We’ve been in beta a while, yes. At some point, we’ll not be in beta but part of our spiel is you’re constantly learning—so perhaps we’re always in beta. But that’s an internal debate. Victor: Former director of education at the Gates Foundation Tom Vander Ark talks about a new wave of tools and platforms for education. You’ve got content. In your case, content matters more. Facebook may be a great platform, but how many Facebook variations could there be on the market? There’s only a need for one. Platforms are nice, but companies that can create strong content still matter. Thoughts on how Shmoop can remain robust and unique? Similar companies in their early stages are generating lots of excitement, but Shmoop seems to be the real deal, and you have a good grip on where it’s headed. Ellen: Well, thank you. We come at it from a context standpoint, and being in Silicon Valley, most people come at this from a tools standpoint. What I mean by that is, we wanted to write great content, and we wanted it to be—as I said—relatable. And for the digital age—understandable. But we also provide Shmoop on every device. SUBSCRIBE TO EDTECH DIGEST (enter your e-mail in the upper right area) AND GET THE ALERT FOR PART 2 OF THIS INTERVIEW… COMING SOON! UPDATE: Here it is—PART 2 of 2 … click here. We are a game world educational platform aimed at teaching today’s youth “fiscal responsibility”. Alpha test completed July 2010, 500 students, U.K. schools. Help us deliver the world a well informed and balanced credit ready youth. Together we can do what the world has failed to do, ….teach our children well and prepare them for what awaits.